Ever get the feeling Sydney Airport Parking is the most expensive in the world? Your hunch is right. Sydney Airport Corporation took $119 million in revenue for its airport carparks in 2012 (its most recently reported year). However, there are dozens of third-party car parks clustered around the airport offering parking at substantial discounts to the "official" airport carpark rates – and usually with a free shuttle service to and from the airport. Australian Business Traveller found car parks that cost less than half as much as the official long-term car parks. But first, here's some useful background on finding the best value parking for Sydney Airport. If parking on-site at the airport is a must for your next domestic hop, do yourself a favour and book your parking on the Sydney Airport website. Stays of 15 days can be had for $109, while longer trips of 21 and 31 days would set you back $129 and $139 respectively – pricing out at $4.50 per day on a month-long booking in the 'Blu Emu' carpark. When parking off-site, carparks have different price structures for different lengths of time. Just because one car park is cheapest for a two day stay doesn't mean it'll also be cheapest for a three day stay, which is why we've broken down this list into periods from same-day to to two weeks. 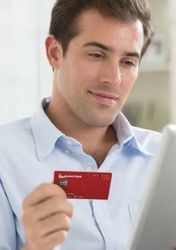 Many require you to book 24 hours advance (some require 48 hours) and pay in advance. If you cancel your parking with 24 hours' notice you'll generally get your money back (sometimes less an administration fee in the order of $20), or you will lose your entire parking fee. The only three long term carparks that offer no-booking access are the official Sydney Airport Long Term Carparks (domestic and international) and the Park & Fly carpark on the corner of General Holmes Drive and Joyce Drive, Mascot. You'll have to leave your car key with most car parks (except the official Sydney Airport domestic long term car park) so they can move your car if necessary. Check before booking if you are uncomfortable with this. If you're flying internationally and want to use one of the official Sydney Airport car parks, it's 50-66% cheaper to use the domestic long term carpark, take the free shuttle bus to the domestic terminal, and then take the $5.50 shuttle bus from the domestic terminal to the T1 international terminal. That being said, it's cheaper again to use an off-site carpark and take their free shuttle bus to the international terminal. Most car parks will wash and vacuum your car for around $35. Some can even arrange mechanical repairs and pink/blue slips while you are travelling for an additional fee. Some car parks are quite small and book out quickly – or may be closed on public holidays. So don't turn up to them in the hope you'll be able to be park – you must book in advance. The third-party airport car parks are all clustered in a few streets around the airport, and they all have extremely similar names (Sydney Airport Parking, Airport Sydney Parking, Airport Parking, Sydney Airport Security Parking, and so on). Be careful that you go to the right one. Some right next to each other have dramatically different rates. Park & Fly: the pick of business travellers? Park & Fly is especially popular with business travellers. This massive parking station just outside the airport precint, near the entry to the domestic T2 and T3 terminals, has a fleet of free shuttles running to and from the domestic and international terminals. 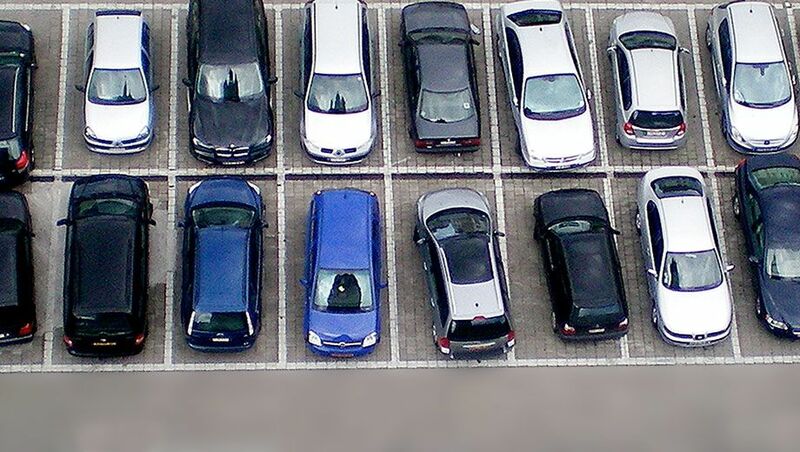 It also operates a 'frequent parker' rewards scheme in which you earn points every time you park, which can be exchanged for free parking or a car wash.
One unique offering is Mascot Parking Services & Valet, which prefers to call itself a 'driver and storage service' rather than a car park per se. The company has dibs on unused residential and business car parking bays close to Mascot train station, under a contract with the owners of those spaces. It's by far the cheapest for longer trips at $85 for seven days through to $140 for two weeks, based on outdoors parking. You'll be driven to and from the airport in your own car, for which there's a surcharge ranging from $10 to $40 between 6am and 8am, although it's free outside those hours. For another $30 the 'reverse valet' deal lets you drive directly to the airport's departure level, where your car is picked up and taken to the allocated car parking spot. On your return, your car is delivered to the airport so you can drive straight home. All pricing shown here is correct as at March 2014, however car park operators frequently adjust pricing so confirm in advance before booking your parking. Transfer: Free shuttle to domestic or international airport. Booking: Booking not required. Come any time, 24hrs a day. Shuttle: Free shuttle bus every 10-15 minutes, drop off/pickup at Sydney Domestic Terminal 2 & 3. No drop-off to international terminal, but a $5.50 per person shuttle bus is available at the domestic terminal. Booking: Required in advance. SMS details to Lu on 0425 282 918. Transfer: Price shown here is $55 parking fee + $30 valet fee – you are driven to the airport in your own car and on return picked up in your own car and driven back to carpark. Booking: Required in advance. SMS flights details to Lu on 0425 282 918. Transfer: Price shown here is $65 parking fee + $30 valet fee – you are driven to the airport in your own car and on return picked up in your own car and driven back to carpark. Transfer: Price shown here is $75 parking fee + $30 valet fee – you are driven to the airport in your own car and on return picked up in your own car and driven back to carpark. Transfer: Price shown here is $85 parking fee + $30 valet fee – you are driven to the airport in your own car and on return picked up in your own car and driven back to carpark. Transfer: Price shown here is $95 parking fee + $30 valet fee – you are driven to the airport in your own car and on return picked up in your own car and driven back to carpark. Transfer: Price shown here is $105 parking fee + $30 valet fee – you are driven to the airport in your own car and on return picked up in your own car and driven back to carpark. Note: our winner here charges the same flat price for both 13 and 14 days, which is why we haven't broken them out into separate days. Transfer: Price shown here is $110 parking fee + $30 valet fee – you are driven to the airport in your own car and on return picked up in your own car and driven back to carpark. I'd endorse Jokiin's idea. If I'm picking someone up, I'll grab a coffee either at the Maccas near the Domestic terminal or at one of the cafes in Mascot and wait for the passenger to call me. If you're doing a same day return out of Sydney, I find you can get free all day parking at 5.30am in the back streets of Mascot and do the ten minute walk or get the 400 bus to the terminals. Whether your car is still there when you get back to it at 10pm that night always adds a delightful frisson of uncertainty to the day. That 400 Sydney Buses service is also pretty useful if you are prepared to park further from the airport, I've found the waiting around for the parking shuttle buses is about the same as the public service. And at a resident living close to the airport 1.5k from Domestic, I can say there is heaps of you who do this! I regularly find cars parked for weeks/months in the untimed street parking and the getting a taxi back to their car. its actually getting harder to park my car these days so it might be a loophole that's closed one day. Rockdale and Banksia are another good choice. I used to park at Innesdale Rd for international arrivals, now I park at Woolworth Wolli Creek. They will be monitoring the car park soon. Woolworths have evn issued notes on some cars parked there. Dan Murphy and Woolworths have recieved lots of complains about commuters; local bussines, residents and builders using the car park. Its only 2 hour parking for customers.. I would not park there anymore after hearing this while shopping. Airport Car Parking Direct are cheap, but I had my car damaged while it was there and I was not the only one ,going by the many bad reviews on other sites. They wont return any calls, emails, messages. Cost for 6 days $130 parking plus $800 repairs to my car. Avoid them altogether. I tried to book with them online, and then on the phone. I was astounded by their rudeness and belligerence. I fly frequently, and I have tried all of the following, and the difference between the 3 is marginal. They were all courteous, reasonably priced, and punctual. Don't choose parkfly. Parkfly offer close parking cheap with a FREE shuttle. After a resent domestic flight we came home expecting to b picked up by the shuttle we arrived in. The driver was not there but after a ph call arrived 10mins later in our own car because he "has a really bad cold" which was evident by him coughing all over everything and "your car is heated". Now not only was I havIng a panic attack being shut in a confined space with a sick person knowing how busy my week was and I did not have time to be sick. But I did not remember giving any permissions as to the use of my car, which I had to disinfect. Not impressed at all! I've used Park n Fly a couple of times now and it was so convenient - even more convenient than trying to find a parking spot in the domestic car park! Be careful using Mascot Parking Services. I have recently moved to this building and the Strata management company have said this service is operating illegally and security and looking into it. Better not to risk it I think. As the owner of Mascot Parking Services & Valet, I absolutely refute unresearched statements like the duplicate posts from 'Paula' at the Aero. I do not SUBLET but store my clients vehicles, and am awaiting a tribunal hearing at Fair Trading (26th March 2014 - Paula, you're welcome to attend) to have this undemocratic and I believe, illegal covenant preventing residents using their (unused) car bays anyway they like. Who are you Miss Paula, another vindicative operating committe member standing in the way of several happy residents earning extra money from their empty bays, trying to defame my successful business (now 5 years in operation!). By the way, I also use other car park facilities to store cars, NOTHING to do with The Aero. Anyone posting unsubstantiated second hand opinions without proof will be under my scrutiny also. I will sue for deformation and besmirchment of my good character if anyone on any website or directory site posts inflammatory comments without PROOF. This is a free country and the 4th tier of Government, known as the Operating Committee, is under major Parliamentary overhaul and thank goodness to that! Let it rest before this blows up to something very unpleasant and stop harassing my business! I've just noticed your reply here. The comments section on AusBT exists to discuss the topic at hand, not the users commenting on it. Phrases like "Who are you Miss Paula", "I will sue for deformation [sic]" and "let it rest" aren't in line with our ethos – and could be seen as intimidatory. You're most welcome to refute any comment made about your business in a calm and professional manner, but threatening our users with legal action isn't the way about it. The courts are always at your disposal, but again, the comments section isn't for legal battles. Any further comments along these lines will be removed in accordance with our commenting policy. I am just a new tenant who has been unable to access visitor parking for my friends and family and this parking service was the reason I was told the visitor spaces were paddocked and unavailable to residents to use without accessing a prebooking system. I am not a member of the committee nor trying to slander the operator. Just passing on what I was told. There are also notices threatening to wheel lock illegally parked cars. I was just warning travellers. I know I would want to know if it was me. The double posting was not deliberate. That is the wrong information that the operating committee are claiming about my vusiness. I DO NOT use common property visitors bays and it is most definitely not the reason why the visitors bays are padlocked. They blame me for all the residents who can't be bothered moving their own cars around on tandem bays, so use the visitors bays. I have told them over and over it is nothing to do with me! I wish they would wheel clamp the illegal parkers as they would soon find out none of the vehicles are mine. It would be great if you would let me know who told you that story as I will personally address it and correct it. I used Mascot Airport Parking in Sarah Street Mascot several times based on this article and endured minor scratches on the vehicle on at least a couple of occasions. The last incident involved significant damage to the rear bumper of the car, a dash cam in the vehicle was tampered with and disabled at 2 different points and a panel covering the fuses under the dash was removed and missing. I would highly recommend that anyone considering using Mascot Airport Parking search for reviews and obtain a copy of their parking conditions before choosing this company. We were told by the owner bad luck we should have checked the car before collecting it. Car had a big scratch on it when I got back. I told the guys who were there who apologised for it and then told me to talk to the person who took it yesterday, and that he would be back at 7pm. I asked for a receipt of the fact that I pointed out the scratch, which he did. He and the other person were very nice and polite. I called when the other guy that night, who said his name was "Sam" (he told me this after refusing to give me his name initially) one of the guys from the day answered the phone and put him on. I could over hear him say "the guy with the Renault had a scratch, he wants to talk to you about it" and "Sam" said "why did you tell him it was me?" and then as soon as I asked him what they were going to do about it he then told me an entirely fabricated story about how we together looked over the car and he pointed the scratch out to me. Fortunately there was another customer there who I may try and see if I can catch up with (I sat next to him on the flight!) to see if he can give corroboration that this did not occur. I asked at the end "so how can I make a claim?" and he said "good luck! haha" and I said "No I will be doing that, as well as talking to fair trading" and he said "well call the director tomorrow - good bye". WARNING: DO NOT USE MASCOT AIRPORT PARKING. My wife and I had to wait 1 hour for the “free express shuttle service” from the airport. When I phoned them to ask what the delay was, I was told that the shuttle was in heavy traffic on route from the international terminal; however, its eventual arrival just happened to coincide with a later flight coming in, so it seems the real story is that they decided we could be left to wait until there were enough passengers to fill the shuttle (that is, they decided it wasn’t worth sending the shuttle just for me and my wife). We considered getting a cab to the parking station; lucky we didn’t, because when we got off the shuttle at the parking station, we found out that the driver of the shuttle had our car key all along! There was even a delay when we eventually got on the shuttle, because the driver insisted on seeing every passenger's receipt, even though it had not been made explicit beforehand that receipts must be shown as a condition of being allowed on the shuttle to go from the airport back to the parking station. In summary, the claim on the Mascot Airport Parking website that customers receive “friendly personal service” is simply not true; the reality is that they are an unprofessional outfit who treat customers with contempt. Better to pay a bit more and get a lot more for what you pay; while we were waiting for the shuttle, the bus from “ParkNFly.com” arrived and departed three times – seems like they’d be worth a go. Whatever you do DO NOT USE PARK AND FLY...... As opposed to parknfly...... They are disgraceful..... The guy on the mobile is completely unhelpful if you have a problem and extremely rude....completely distrustful company with poor customer care......words fail me how poor their service is....Pay a bit more and have peace of mind...! The service from the drop off and pick up service was faultless. We went with the full detail service with clay bar polish and this is were the problems start, what a MASSIVE let down. We picked up the car in the dark at night after a long flight and didn't check the quality of the service until the next morning(My bad). In the light of the day I found the car was very far from a professorial job. The wheels had not been cleaned property, carpets still had dirt on them, inside door stills had not been wiped over, polish had not buffed off properly, dirt still under wheel arches very poor and very far professorial a small child would have done better job for less money. Now for the damage I found numerous new scratches as well as polishing scratches from not being polished properly. But the worst damaged is the large stain in the paint work on the bonnet that was not there before hand. When I contacted Park N Fly about this I was asked to send photo evidence of my concerns which I did(more than hundred of all areas from all angles) the email I received back stated the car was very dirty(Duh that's why it was getting detailed)and that more than enough had been spent on it and that up to five people had spent 90 mins on it, but the time back down by them showed less than 60 mins, as for the missing cap it must be in door pocket or console(nowhere to be found). I was offered to come and watch footage of the cleaning job on small screen filmed from distance. I ask if the footage could be sent to me for viewing as it was a four hour return trip for me so I would lose a days pay as well as having to pay for parking again. I took the car to two businesses to look at and they commented on the poor workmanship and that the job looked rushed. In all the parking service from Park N Fly is good BUT and VERY BIG BUT the wash/detailing is very very poor service I would strongly advise not using this service. I PAID FOR A SERVICE ONLY TO HAVE CAR DAMAGED AND TO BE TOLD THE CAR DIRTY TO START WITH AND ENOUGH TIME HAD BEEN SPENT ON DETAILING IT! Comment on "Where to find the cheapest parking near Sydney Airport"